“Tincunacuy” is a word from the indigenous Quichua idiom and roughly translates to “meet in friendship.” “Tincunacuy” is a short film. It builds a bridge between the two independent feature films “Sachamanta” (Special Mention at the Festival delle Terre 2013) and “No Rest. No Haste.” (out now). 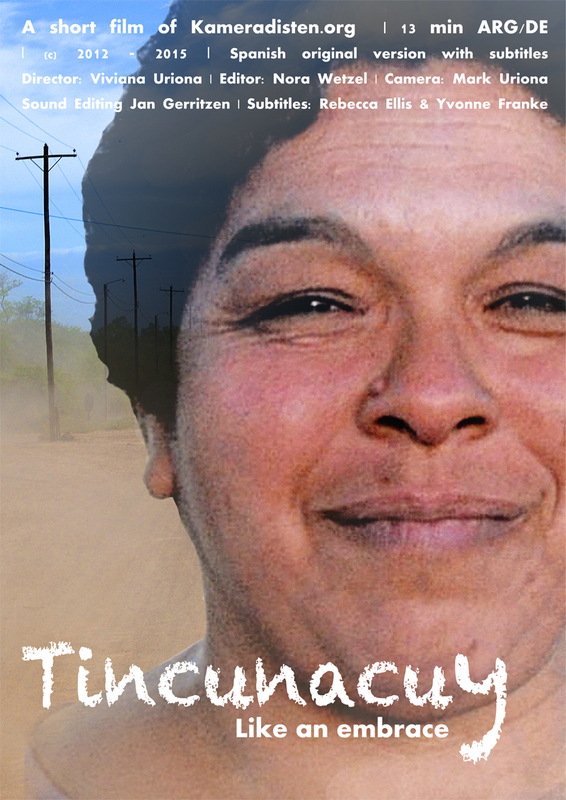 “Tincunacuy” shows the return of our film “Sachamanta” to the people whose story it tells: The indigenous farmers of the Santiago del Estero region in northern Argentina. These small scale farmers (Campesin@s) constantly fight back large companies, that try to steal the land from the farmers. It is a land-grabbing-story so different from all the other stories on this globe. Because in Santiago del Estero the weak beat the strong and there are reasons for this unusual outcome. “Sachamanta” tells you the story of these reasons: organization and communication! With the simplest means the Campesin@s build five FM radio stations and by them efficiently coordinate the fight against companies like Monsanto in a land where there is often not even electricity. This story of the amazing victory of the weak over the strong deeply touched people in the Federal Republic of Germany, where “Sachamanta” hast first been screened. They asked questions and they wrote down their messages in a little mass of letters to the Campesin@s. Of course these messages and also the film “Sachamanta” had to return home across the pond to the people they belonged to. And that is, what they did. With the financial, logistical and ideological support of over one hundred people (project “Espejo“) at the end of 2012 we started off again towards the north of Argentina. In the luggage we had not only the film and the many letters and messages, but also our equipment. We traveled from radio station to radio station and from place to place and mostly we screened the film “Sachamanta” on one of the outer wall of some house in the warm summer nights of southern New Year, the sound of the film putting up with the omnipresent crickets. “Tincunacuy” tells a little of this long journey. This short film is giving something like the exterior view on the reactions of Campesin@s on “Sachamanta” and on the questions of the german audience. “Tincunacuy” can be viewed in a slightly reduced resolution below this text. Here you can view “Tincunacuy”. Please remember to turn up the sound on your computer. To play the video, please press with the (left) mouse button in the center of the player on the Playicon. For viewing in full-screen just click on the resize icon at the bottom right of the player. Escape (top left of the keyboard) terminates the full-screen playback. The film has got relatively high demands concerning the speed of your internet connection. It may make sense to buffer before you completely play the movie. For this purpose you press the pause button just after the start and wait a few minutes – before you press play again and watch the film.